ich habe letzte Woche wieder Post von MissSophies bekommen und drin war die neue Sommer Kollektion! Die Designs sind wirklich super süß, wie großartig sind bitte die Flamingos?! Die drei Designs sind eine Limited Edition und sind ab dem 18.03.2015 im Onlinestore von MissSophies erhältlich. 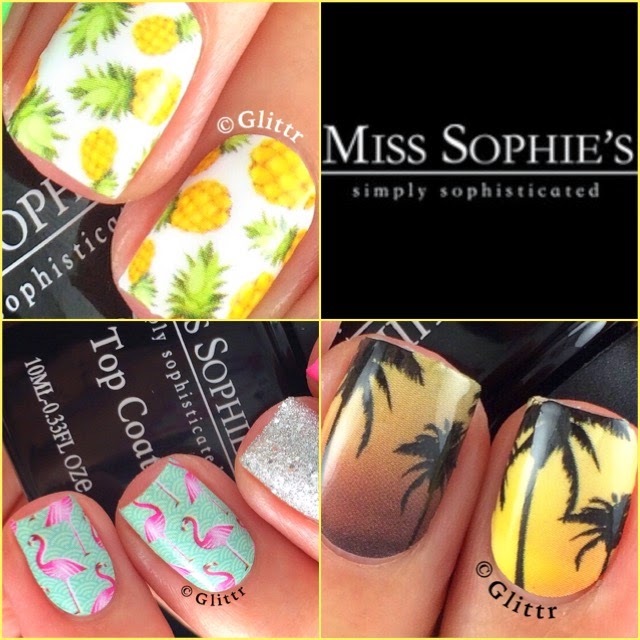 I received some awesome nail mail last week, the lovely Anna from MissSophies sent me their new summer collection! 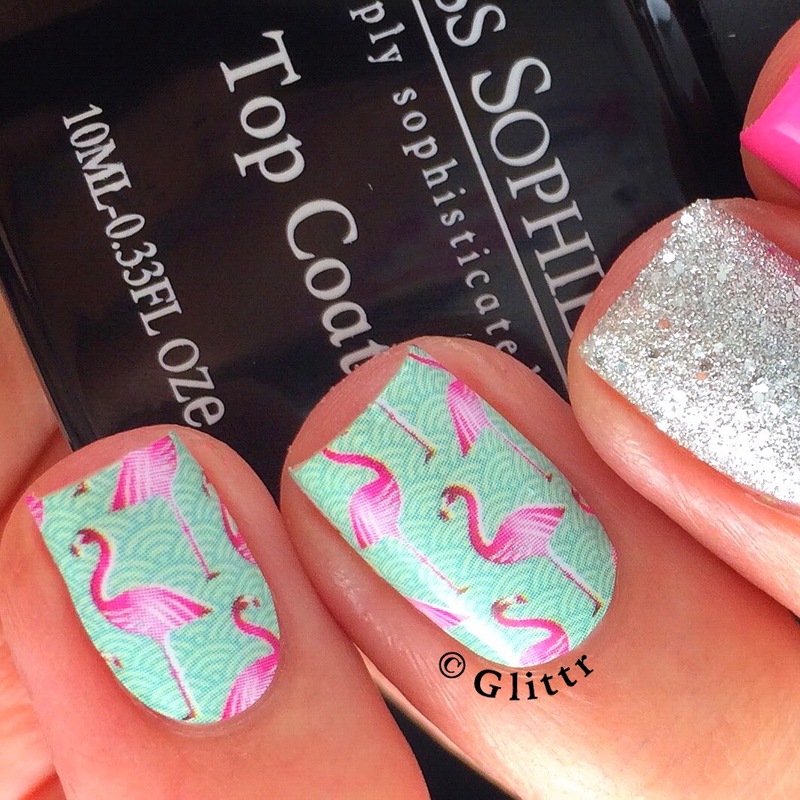 The designs are all so pretty, how adorable are those little Flamingos?! The three designs are a Limited Edition and will be available at the MissSophies online store as of March 18th 2015. 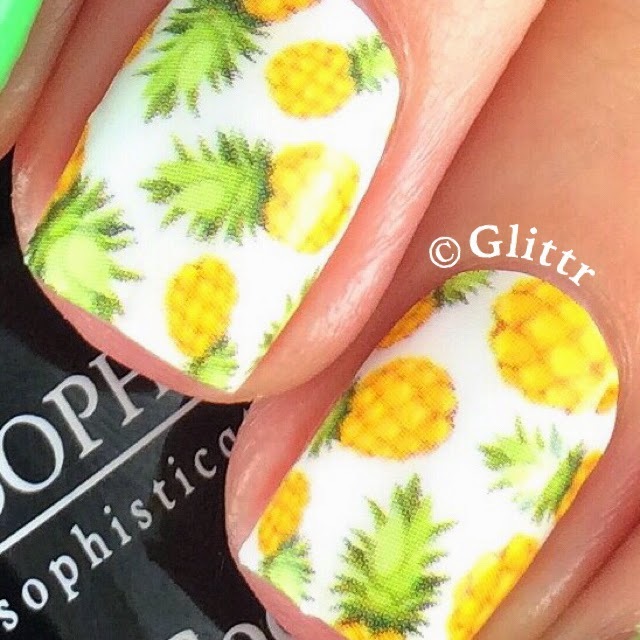 The first design is called Sweet Pineapple and I think it’s super cute!! I only used the nail wraps on my middle and ring finger and painted my pointer and pinky with China Glaze Shore Enuff and added some studs. 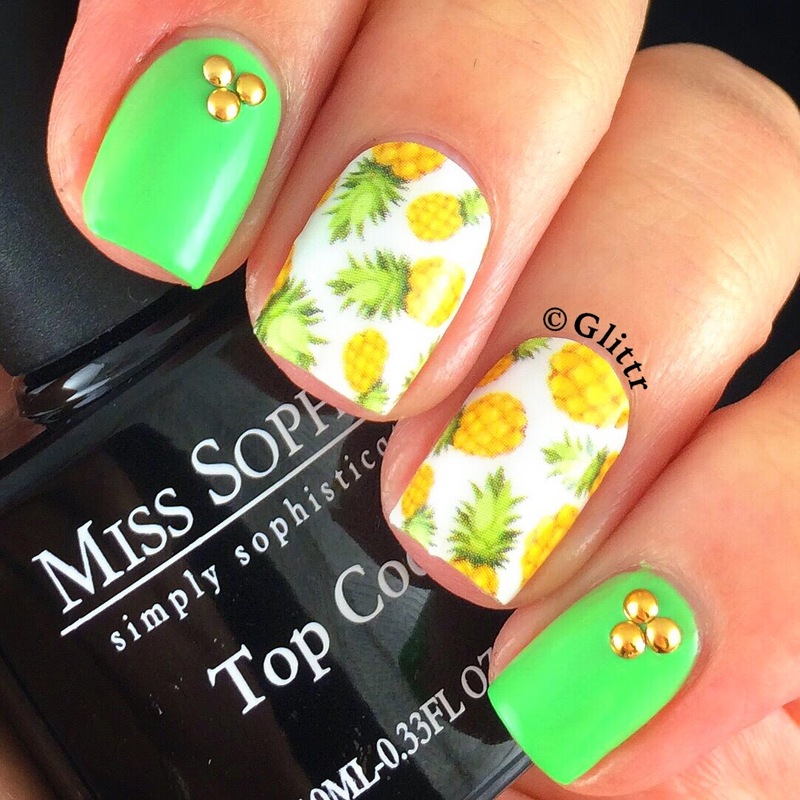 Really love this combination and I can definitely see myself wearing these pineapple wraps in summer! 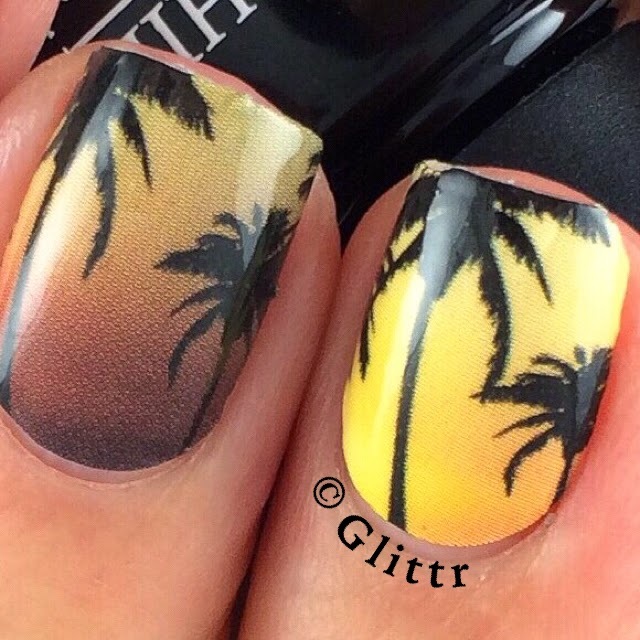 Das nächste Design heißt LA Sunset – Palmen vor dem Sonnenuntergang, hätte ich jetzt gern! 😉 Das beste an diesen Nagelfolien: man kann sich das ganze sauber machen nach dem gradient sparen, einfach aufkleben und das wars, perfekt! 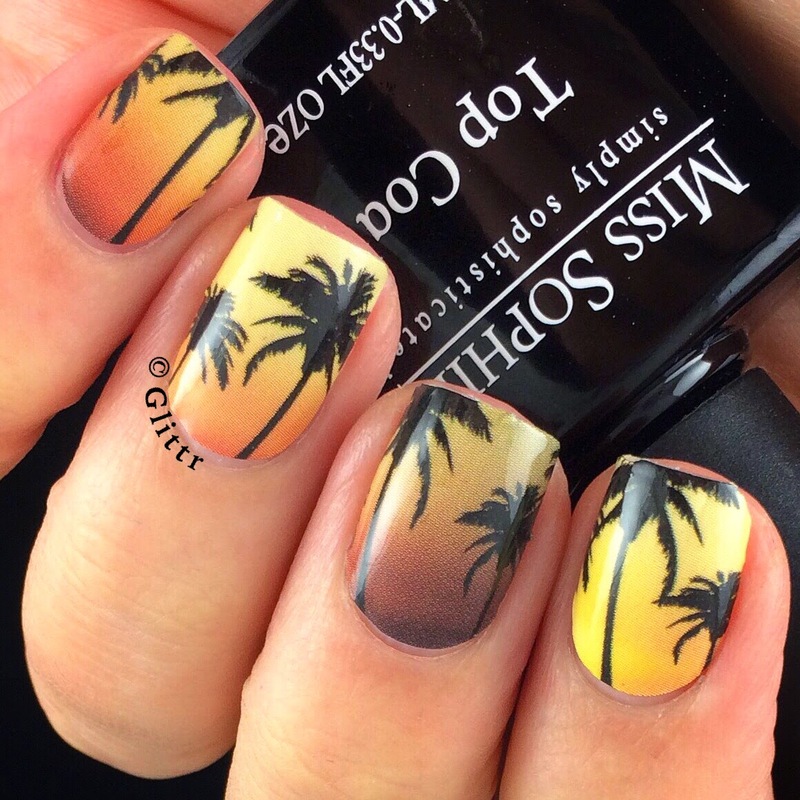 The next design is called LA Sunset, I wouldn’t mind this in real life right now tbh 😉 The best thing about these nail wraps: no need to do any gradient clean-up! Just stick them on and you’re ready to go! Und das beste kommt zum Schluss: Flamingos!!! 🙂 Wie süß sind die bitte?! Pinke Flamingos auf mint färbendem Hintergrund? Ja bitte!! Hier in Kombination mit Essie Boom Boom Room und OPI It’s Frosty Outside. Saved the best for last: the flamingos!!! How cute are these?! 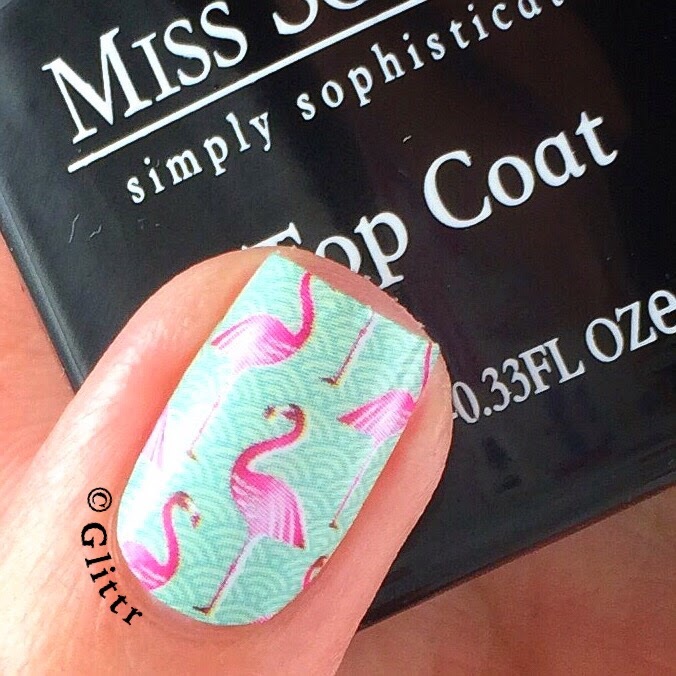 Pink flamingos on a mint background? Yes please!! I combined them with Essie Boom Boom Room and OPI It’s Frosty Outside. 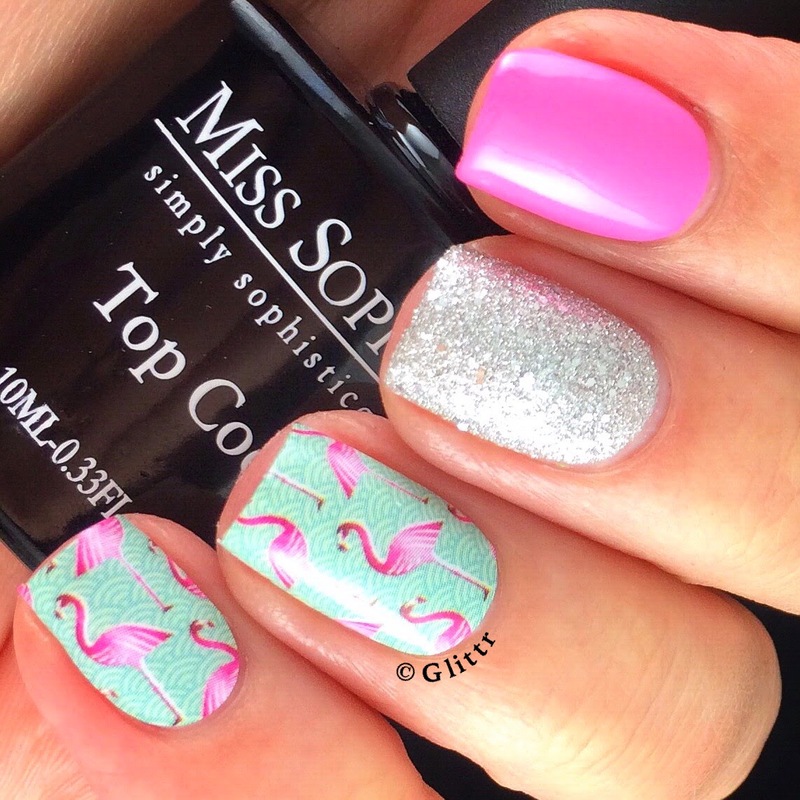 Alles in allem finde ich die Miss Sophie’s Sommer Kollektion total toll! Super süße und schicke Designs die Lust auf Sonnenschein und warmes Wetter machen! 🙂 Wenn ihr noch mehr über Miss Sophies und ihre Nagelfolien wissen möchtet, könnt ihr meinen detaillierteren Post dazu hier lesen. Und ich darf auch schon verraten, dass es in naher Zukunft ein Gewinnspiel auf meinem Instagram geben wird, bei dem ihr welche der Nagelfolien von Miss Sophies gewinnen könnt! Bis zum 31.03. habt ihr dazu noch die Möglichkeit 20% auf eure Bestellung bei MissSophies zu sparen wenn ihr den Code “Glittr20” benutzt! All in all I really love the MissSophies Summer Collection! They are really cute and pretty designs that make me want sunshine and warm weather instantly! 🙂 If you want to know more about the nail wraps, you can read my more detailed post about them here. And I can also tell you that there will be a giveaway coming up on my Instagram soon where you can win some of Miss Sophies nail wraps! Until then you can take 20% off your purchase at MissSophies using the code “Glittr20”. MissSophies does not ship worldwide yet, but they said you can email them about international shipping at info@miss-sophies.de to see if they can make it available to you already. Disclaimer: This product was sent to me for review, but all opinions stated are my own and not influenced in any way.